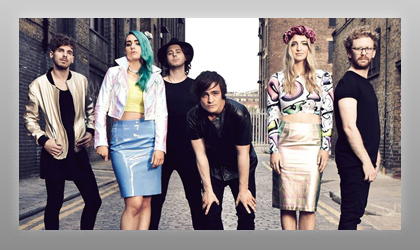 A&R Worldwide played a pivotal role in the global success of Sheppard with its early support in building awareness within the label, publisher and media communities. A&R Worldwide's strategic development support, as well as strong radio impact in the United States and internationally, triggered support in Australia which subsequently led to the band's first Platinum-selling record in the their native Australia and multiple label offers worldwide. Sheppard's band manager and industry veteran Michael Chugg states, "It was A&R Worldwide's work that alerted many labels and publishers, as well as Mark Hamilton, Station Manager & PD of KNRK "94/7FM" Portland, OR of Sheppard, where the band's single 'Let Me Down Easy,' became the No.1 most requested song on the station for many weeks. This opened up America and Australasia to this wonderful band."